SYRACUSE (WRVO) – State Assemblyman Brian Kolb (R-Canandaigua) dropped out of the race for the Republican nomination for governor last week. That leaves one fewer obstacle for gubernatorial hopeful John DeFrancisco, but he’s not ready to take on the mantle of front runner yet. A few years ago, DeFrancisco, a Syracuse-area state Senator, thought he had the votes to become Senate Majority Leader, but he fell two votes short. So he’s not ready to anoint himself the presumptive Republican candidate for governor, in a race against the presumptive Democratic nominee, Gov. Andrew Cuomo. But he does admit things are going well, less than two weeks since he announced his intention to go after the nomination. He’s picked up some of Kolb’s support. He has some endorsements from state Senators in a Long Island county that carries a lot of weight in the nomination process. 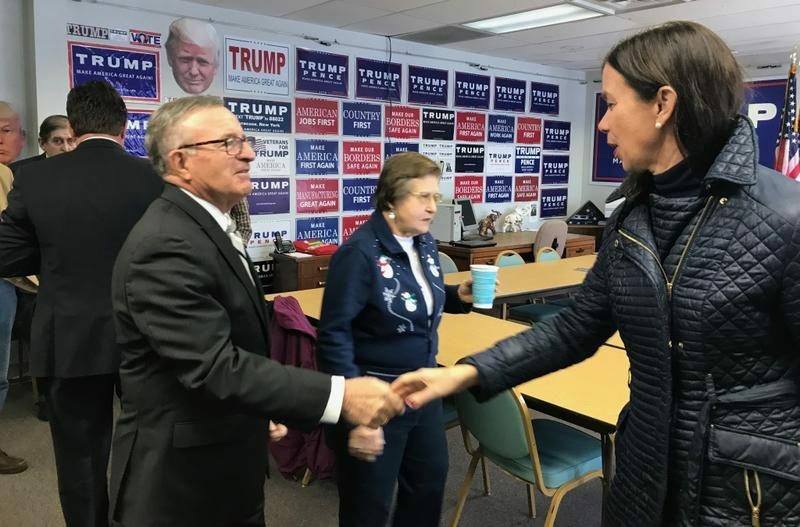 Also, the two other candidates left in the race, Former Erie County Executive Joel Giambra and former Pataki administration official Joseph Holland, haven’t made a big dent in the race so far. DeFrancisco said he’ll continue traveling the state, trying to lock up support with an anti-Cuomo message. Because if one thing is for sure, DeFrancisco said, it’s that the sooner the nomination is locked up, the better, in a decidedly uphill battle. “The key is to have an endorsement, if people think I’m the right person, as soon as possible, because you need as much time as you can possibly get to run against an incumbent with $30 million in the bank,” he said. GOP committee members make the final decision on the party nominee during a convention in late May.